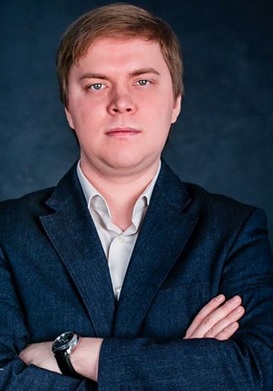 Alexey Panyov is a co-founder and CEO of Navigine, a comprehensive platform for mobile developers and system integrators which solve precise indoor positioning tasks thanks to proprietary hardware-agnostic algorithms. Indoor navigation solution allows to improve customer loyalty, receive additional marketing revenues, analyze visitors flow, optimize marketing channels and many others things. Alexey was engaged in various navigation projects in the defense area - development of navigation systems for aircraft, underwater, underground moving objects and vehicles. He has 10+ years of experience in special navigation software development under his belt and wrote 10+ scientific articles. Gartner included Navigine into its Cool Vendor report 2016. I have been studying at Moscow State University for 9 years. There I completed PhD degree at Mechanics and Mathematics department in Laboratory of Navigation and Control. I had an amazing scientific adviser who is one of the best experts in the integrated navigation worldwide. While studying I met Oleg Demidov, who also got PhD degree and had the same scientific advisor. In 2011 we decided to leverage our know-how in integrated navigation at business field. Among navigation applications we chose indoor navigation because at that time indoor location market started to emerge and was expected to grow with a fast pace. We realized that this was a perfect combination of market opportunity and existing core competences that gave us a chance to build a fast growing international technology company. We can observe that in the latest time indoor navigation started extremely grow in popularity and will become one of the biggest tech trends of the nearest future, especially in such industries as Retail, Transportation, Healthcare, Logistics, Real Estate. According to Deloitte report, by 2022 at least a quarter of all uses of precision digital navigation will be for indoor journeys. Therefore, every industry strives for using a potential of iBeacon technology and as a result, unordinary use cases are bearing (e.g. Uber started testing beacons for avoiding car mixups). Such giants as Google and Apple began a "fight" for the title of "the best maps provider". Google allows using indoor maps to view floor plans. Now users can see and navigate inside places like airports, department stores, and malls using the Google Maps app. But this option is only available in selected locations. At the same time, Apple proclaimed that company is going to use iBeacon technology and drones for updating their maps for iOS and MacOS applications. Still, the main trends of indoor navigation remain the same: navigation, proximity marketing and analytics. So it is expected an increase of demand for indoor navigation in different areas of people's life. At first, we became evidence of a mobile evolution. People started to spend more and more time with their smartphones and most companies began massively release their applications in order to be closer to customers or raise the awareness. Over time, this led to the fact that in the pursuit of mobile trends, companies stopped to think about what benefits their applications can bring to customers. Now we see a smooth transition from mobile into IoT evolution that brought new trends to mobile development and other industries. As a result, many IT solution providers are trying to implement new solutions by themselves and fail because of the lack of specific technology expertise. Our business is right on the merger of mobile and IoT, so it’s important for us to develop a product that satisfies desires of our direct customers and their end customers. We believe that our products could solve plenty of problems that relate to positioning, navigation and tracking within hospital premises, transportation hubs, shopping malls and other big buildings. In addition, these solutions could work as a platform for further implementation of Smart and IoT technologies. Many developed countries around the world are striving to establish their own concept of “smart cities”. Smart cities aren’t some far-off dream of the future, either; some urban areas are already using big data to improve themselves. And by providing our services we strive for better and safer life for every citizen. Now we are a market leader in Russia with pilot projects in several countries outside Russia. Our current target is an international expansion with a focus on Western Europe and US markets. We want to significantly increase Navigine's presence in these markets. We’re going to create strategic alliances with technology partners and make integrations with large software platforms and large hardware players to receive massive sales channels Internalization plans. Our long term target is to become an industry standard for indoor navigation and tracking applications. As we started the business we had operations only in Russia and started our first project in Middle East. For start-up companies, like our, coming up with an innovative idea and getting funded are just the beginning. It is critical that they figure out how to gain access to industry experts, key decision makers as well as resources needed to rapidly scale their businesses. In order to speed up this expansion, we were looking for participation in accelerator programs. First we received an invitation to take part in the first batch from Starta Accelerator in New York. So we moved headquarter to New York with the primary focus on the US market and during less than 2 months we have generated a pipeline of 10+ projects and performed 1 pilot installation. And later Navigine became one of seven Healthcare startups, selected from 170 companies applied for the program in Healthbox Accelerator. These programs provided a great boost in our business development and since that time we have performed a huge step in the international expansion. I think the most challenging moment at business is an entry into the new unexplored market. I experienced this twice, first when we started operations in Germany within Berlin office and second when we moved headquarter to New York. We have managed to land business critical partnerships with major technology companies such as Google, Microsoft, IBM, SAP, HP, Samsung, Yandex, to name a few. Combining our efforts, resources and competencies with these partners allowed us to develop a competitive product with unique properties, including at the global level. Lately, the task of indoor navigation is becoming increasingly important. There are no simple tools to create apps with indoor navigation: development of solutions requires significant effort, time and specific know-how because regular navigation using GPS or other GNSS does not work properly inside buildings or in a complicated urban environment. Navigine addresses the challenge of IT solution providers developing applications based on precise positioning. The core of our products is the technology of high accurate positioning (downto to 1 meter) using data available in majority of current mobile devices. Our first product is the tool to integrate indoor navigation, push notifications and motion analytics functions into mobile apps. It helps mobile developers to quickly develop mobile apps for such clients as airports, transport hubs, hospitals, shopping malls, etc. The second product is the platform to create solutions for tracking of staff, vehicles and other assets inside buildings. It helps system integrators to create end client solutions in different enterprise cases for large-scale buildings. 1. Provide an interactive map with navigation and smart push notifications. 2. Improve customer loyalty through the increase of customer service. 3. Receive additional marketing revenues from tenants/brands through new marketing channel. 1. Analyze visitors flow and get the insights for revenue growth and negotiations with tenants/brands. 2. Optimize marketing channels and ad campaigns on the basis of their efficiency analytics in real time. 3. Analyze and compare operation efficiency of multiple points of sales and services. 1. React in real time on ongoing situations inside buildings. 2. Save fuel and increase the safety of mobile assets through real-time motion monitoring. 3. Optimize logistics business processes on the basis of big data. I try to be involved in every detail of my business, so my colleagues can reach out for help and ask me advice at any time. I believe that if you want to motivate other people you should start first from yourself and then show them that you’re a professional in any area of your business. My long-term experience in science taught me to never stop learning. And I try to instill this feeling to my other teammates by reading scientific articles, visiting relevant conferences and be on the same page with other companies from our industry. On our weekly meetings, I encourage colleagues to propose brave ideas, check new hypotheses and never afraid to make mistakes. I think it’s important to concentrate less on details and focus on the main goal of the project. It gives a motivation and helps to look straight and don't pay attention to temporary difficulties. I wish everyone to be an innovator in their business sphere and have a lot of non-standard ideas.